For courses in Fashion Design, Fashion/Costume History, Fashion Sketching/Illustration, and Theater Costuming. 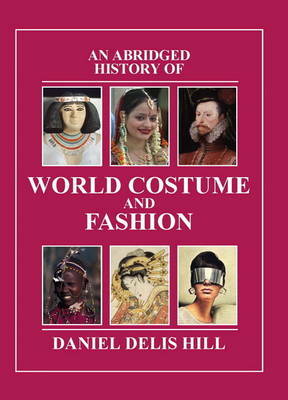 An Abridged History of World Costume and Fashion presents a comprehensive survey of dress from around the world including Asia, Africa, the Islamic Empire, and the Ancient Americas. This extensive study features descriptions and analysis of men's, women's and children's clothing, accessories, and cultural styles from prehistory into the twenty-first century. Lavishly illustrated, it features more than 1600 images-including over 100 in full color-and is a valuable resource for students of historical dress, fashion designers, theater costumers, textile researchers, costume collectors and curators, and anyone interest in clothing and style customs of the world.